Probably. Limited Liability Companies (LLCs) are a common asset protection tool for those that operate a business, own an investment property, or own rental property. However, additional asset protection is probably needed. Asset Protection Planning generally includes mitigating risks from all sources, including both business and personal lawsuits, taxes, health care and long-term care costs, and similar. Inside liability refers to liability as a result of business operations—such as disgruntled customers, vendors or employees. Perhaps you own a construction company and someone becomes injured on the job, or you own an plumbing business and one of your employees caused an accident in the company van. 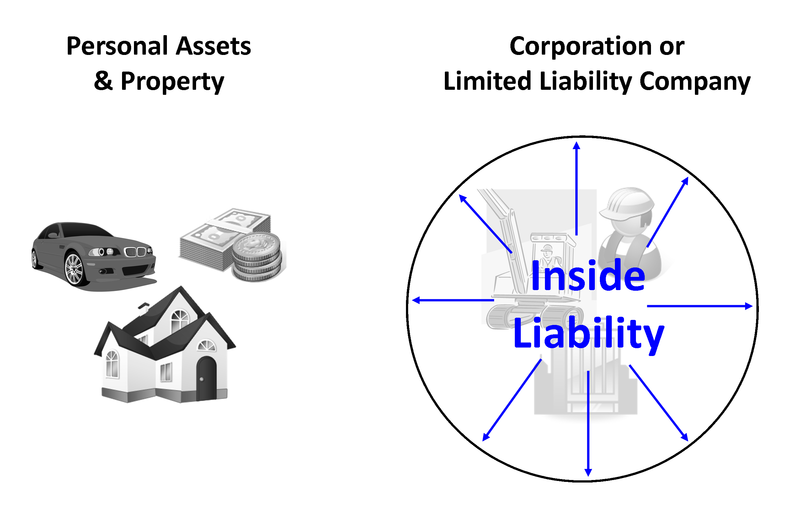 If the business entity is properly structured and maintained (note that this is an important step that many small business owners neglect), then the business entity will shield the business owners personal assets and home from lawsuits resulting from inside liability, with the exception of certain special forms of liability such as malpractice liability. This means that if the business is sued, typically only the business assets will be at risk to the lawsuit. Outside liability is liability resulting from your personal life. Perhaps you cause a severe car accident, someone is injured on your property, or some other catastrophe. The person bringing the lawsuit can’t directly take business assets, BUT in some states they can try to claim your ownership in the business—i.e., your stock or ownership interest in the corporation or limited liability company. Fortunately, in North Carolina, the law does not permit a creditor to take your ownership in the business. A creditor can, however, seek a charging order. A charging order gives the creditor the right to go after any distributions made from the LLC to you as an owner of the LLC. It's also important to understand that for an LLC to provide asset protection, you must legitimately operate it as a separate entity--separate bank accounts, separate record-keeping, separate insurance, etc. This is the area where far too many LLC owners get sloppy and jeopardize the asset protection. As an added measure, many business owners or professionals that are at risk of malpractice exposure, such as doctors, dentists, lawyers, and accountants, may want to undertake asset protection planning for their personal assets to create further separation between their personal assets and business assets. 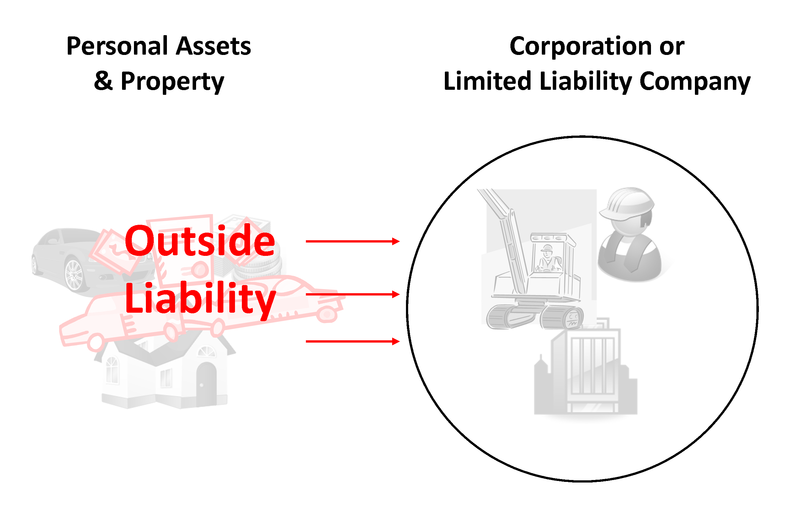 We may consider placing your LLC or business inside a separate asset protection trust for an additional layer of protection.Similarly, it can be prudent to separate higher risk assets, such as automobiles and rental real estate, from other assets and property. In our office, we call this “bubbles and boxes.” The bubbles representing business entities and the boxes representing trusts. Depending on the asset mix and risks, we may recommend some combination of one or more bubbles and boxes to achieve maximum separation of assets. Are You a Sitting Target? Unfortunately, due to the nature of their professional or financial stature, some individuals have a higher likelihood of being sued—in other words, those that have something to lose. Own a business with significant value. Don’t leave yourself or your loved ones stuck dealing with the financial aftermath that a lawsuit, medical bills or long-term care costs, or unexpected tragedy can bring to your family. Contact Carolina Family Estate Planning today at (919) 443-3035 or fill out our online form to speak with someone about registering for a seminar or a Vision Meeting. You may also wish request a free copy Jackie Bedard’s book, Estate Planning Pitfalls: The Twelve Most Common Threats To Your Estate & Your Family’s Future.